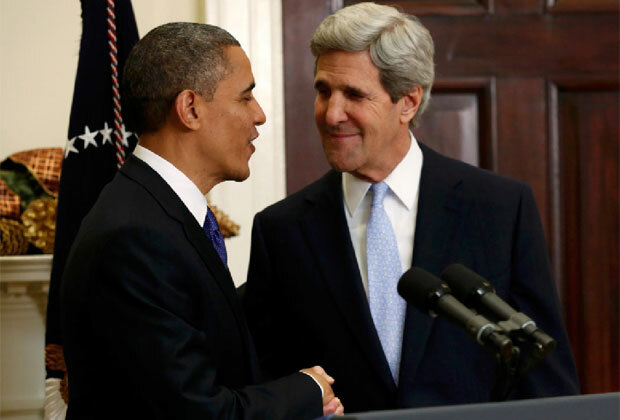 (Washington) – President Barack Obama has nominated Senator John Kerry to replace Hillary Clinton as secretary of state, calling the veteran US senator the “perfect choice” for America’s top diplomat. Obama settled on Kerry, chairman of the Senate Foreign Relations Committee and the 2004 Democratic presidential candidate, after the front-runner, UN Ambassador Susan Rice, withdrew from consideration last week. With Kerry standing at his side, Obama expressed confidence that the senator – a stalwart supporter who has long coveted the State Department job – would win swift confirmation from his Senate colleagues.